Weaving a Life: Is Blogging Dead? Recently I've seen comments about blogging being 'dead'. That no one does it any more. It's true that I've noticed that many of the blogs I am subscribed to have, in large part, gone dormant. There are still a few that post once in a while but I seem to be...addicted...to jumping onto blogspot and sharing my thoughts, sometimes daily. I find the format of the blog useful for a number of things. The format is such that I can explain in some detail (when necessary) what I am trying to convey and add photos to illustrate my point. Twitter and Instagram are perhaps more visible these days, but neither lends itself to anything more than a few sentences of text. Blogging has been helpful to me in terms of keeping my writing chops in practice for the most part. I also feel that it is a way for me to share my knowledge without expectation of getting paid. One reason I haven't gone to a patreon format is that I don't like the expectation of product. When I'm not feeling well or travelling, I don't want that expectation to become further stress. I can share and promote the works of others who I feel are helpful/useful. This blog has allowed me to promote the things I DO expect to get paid for - teaching workshops, my self-published items, my actual weaving. 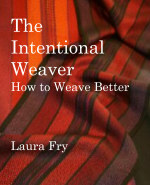 Fellow weavers have been my best customers for my publications, of course, because they are my target audience. But they have also been good customers of my textiles, which kind of surprised me until I realized my tea towel collection is all (pretty much) woven by my friends. I think of each of them every time I grab their tea towel and it's a lovely feeling of connection across the miles. I have also used the blog at times to express my frustration with my on going health issues and I have appreciated the emotional support provided by you, dear reader, as I wend my way through the health care system and deal with an aging body. I've been reading your blog since almost the first day. I've learned so much from your written explanations that there isn't space to tell you how much. So glad you're still at it, still teaching us for free, still passionate. So glad that, for you, blogging isn't dead. I've learned a great deal from your blog - I'm glad you do it. And I look forward to learning even more from your book when it arrives. I personally blog only occasionally when I find I have something I have to say. I used to think that I was good at writing business memos or letters, but could not write creatively. Blogging has proved that was not true. I, too, love your blog. So much social media, that if you pay attention to all of it, you would never get anything done! Well said! Many of the blogs I used to read faithfully have gone dormant. I continue to read the blogs I love, and I leave comments when I can. I hope blogging doesn't go away! I love your blogs, Laura - I find them inspirational, informative and interesting. Didn't know you had a TED Talk episode . . . will look that up later today and keep fingers crossed that blizzard doesn't wipe out power/internet. Your tea towel is always in use (the other (red one) is being reserved for a housewarming gift for a good friend whose condo is still under construction . . .
Be well and thank you for all you do for all of us! PS - Your opal pendant is beautiful, as is the story behind it. I agree completely! Blogging allows you to tell a story, not just post a brief sentiment with a photo. If blogging is dead then so is story telling on the internet. I still spend a lot more time (perhaps more than I should) reading blogs, AND learning from them. A picture may be worth a thousand words but I have learnt very little from Instagram compared to the vast amount I have learnt from blogs over the years. And when I want to refer back to something I can still find it. Things on Instagram get buried under the new layers, whereas blogs (usually) have the handy little calendar/index along the side. Thank you for writing your blog and please keep on doing it. Yes, lots of people have moved from blogging. The ones who have moved to Instagram or Youtube are the ones who like to tell the world what they've been doing and those platforms make that kind of thing easier and quicker. But the ones who write for other people rather than about themselves will continue to do so with a blog because it's the best way to do that, for the reasons you've said. I don't believe blogging is dead, though it is getting less prolific. I still blog from time to time, but busyness is my main problem. 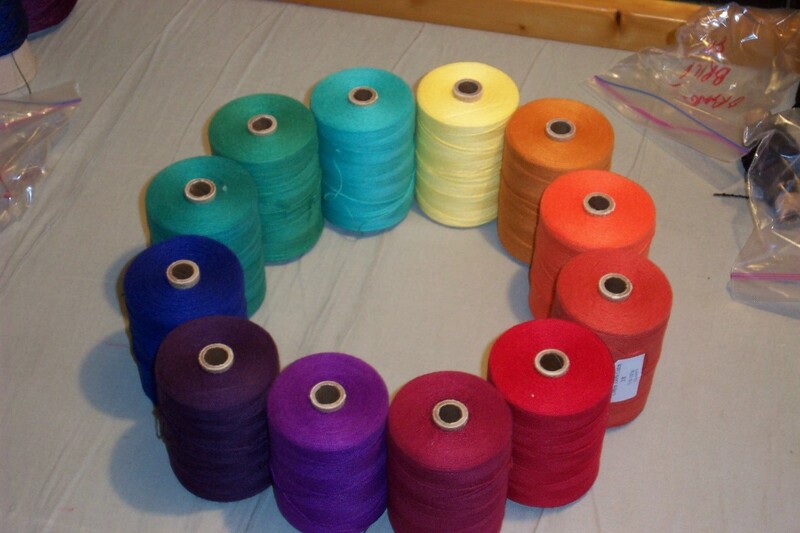 I still run a blog for our local weaving and spinning guild too. I read blogs when I get time, but once again I'm busy and at the moment I seem to be busier than normal (school holidays). I do instagram, but not often, can't be bothered with Twitter and also do some Facebook but blogging gives me the chance to say more about what I'm doing. I've been reading your blog for a few years and went back and read all you wrote before I found you. I also read your posts on Ravelry and have learned so much from you. I'm enjoying your new book as well. Please keep blogging and teaching us. The demise of Google Reader affected blogs, I used to blog and haven't in years, yet I still like the read the blogs I was following. Always liked your. I know think of my blog that I haven't updated in years as a diary of sorts. Thank you Laura for continuing to blog! I also have agonised over getting rid of my blog which has been going since 2005. I am writing to empty rooms and it is really only an ongoing account of what is going on in my weaving. I just renovated my site and reworked the blog taking more advantage of the categories and sifting my posts into them. However this diminishes the ongoing diary style of a life. Most people want to only read a few sentences and look at a curated photo so its difficult but the way we have connected to blogs and their writers over the years has been wonderful.Keep it up.